Mine would be a fiction book and it would be a cozy mystery. Mainly because it's the genre I love and know the best. I've already begun one and just need to make the time to sit down and write. In the past I've written romances (nothing published), but I've switched my favorite genres :) I always think you should write what you know the best. Nixon's big hands - fingers all oil-stained and as big as sausages - were hanging, doing nothing much. I hadn't had a good sausage in ages, or even a bad one, not that there's such a thing as a bad sausage, and was trying my hardest to actually remember the last time, when I became aware that Bernie was speaking. When Bernie talks, I listen and listen hard. Sunday Salon - The final weekend of May! I finished reading two books this week...click on the titles to check out my reviews of them. 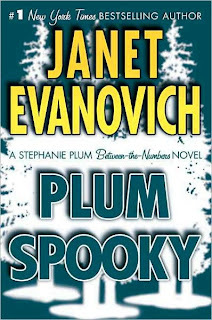 Both books were cozy mysteries and alot of fun. I enjoyed both of these. 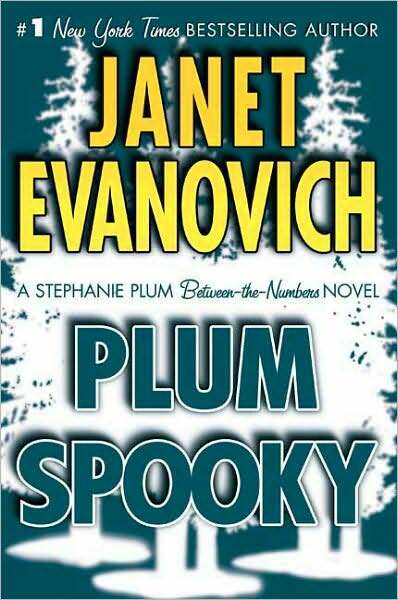 I'm now reading another mystery. 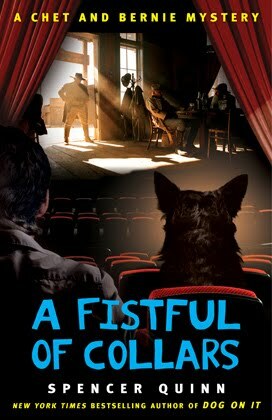 It's the latest in the Bernie and Chet mystery series by Spencer Quinn called "A Fistful of Collars". I love this series and this looks to be like another great addition to the series. Now that the TV season is over, I'm hoping to have more reading time (although I do have summer shows that I watch - can't wait for True Blood). I hope everyone is having a great weekend and have a great week! Imogen Bell finds herself captivated by the mystery of a lost pirate treasure. Unfortunately, her boyfriend Sebastian and the rest of her underwater archeology team don’t share in her fascination. When their boss, Peter, is murdered, Imogen is more determined than ever to find the treasure that he had believed in, but it’s not quite as easy as she thought it would be. Sebastian fears for Imogen’s safety as it becomes more and more obvious that there is someone else after the alleged missing treasure. He begs Imogen to give up her search but she’s stubborn and continues her investigation. As she continues to look for the treasure and her boss’ killer, Imogen finds herself as the next target. My only problem was that each chapter bounces back and forth between before Peter’s murder and after. I found the time shift to be a bit jarring. Even when I see this done in movies or on TV, I sometimes find it difficult to follow – but that’s just me. There’s a part that takes us back in history to the 18th century, which I found absolutely delightful. 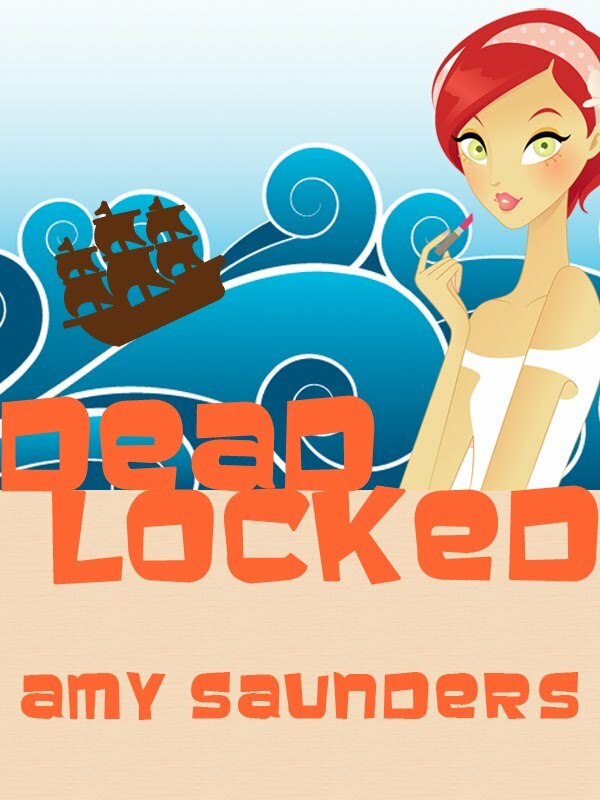 Amy Saunders has created a real page-turner with this book. The mix of mystery and romance is lively and fun to read. The plot is fast-paced and readers will feel as if they are part of the adventure. Amy takes an 18th century romance and mixes it with a modern day romance which works beautifully. She has mastered the art of storytelling. You won’t want to put this one down. I’m looking forward to reading more work by this author. "That was quite the press conference," Mackenzie said, rubbing his hands together. "You might want to tone it down at the gala, though, or we'll have half the world coming here trying to find the jewel!" 1. After a long day, I like to kick off my shoes and rest in front of the computer and/or TV. 3. I can’t stand to watch American Idol or Dancing With the Stars. 4. I want to see the Avengers when I have time. No, I don't but one of my cats' names was inspired by a TV character. Geiger is named after Jeffrey Geiger (Mandy Patinkin's character from Chicago Hope). I don't have many reading friends, so anyone who named children or pets after fictitious characters usually named them after favorite TV or movie characters. 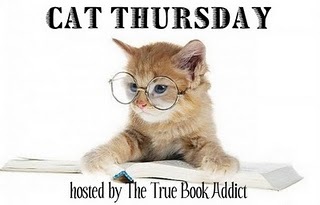 I can't think of any book character I'd name a pet after - maybe Scarlet and Rhett (using the Gone With the Wind theme again - LOL). "If you hurt one of my friends," she said in a clear voice that echoed in the vaulted room, "fear of Isaac Crewe's ghost will be the least of your problems!" A few of the journalists smirked, others panned their cameras onto her. "When are the lights coming back on?" Imogen whispered. "Afraid of the dark?" Sebastian said. She turned to glare at him, then realized he couldn't see her. "I just like to see my hand in front of my face," she said with more irritation in her voice than intended. Hairstylist Marla Shore is quite excited to be part of her friend Jill’s wedding party. Marla’s own wedding is scheduled for only a few weeks away, but she’s more than delighted to assist her friend. 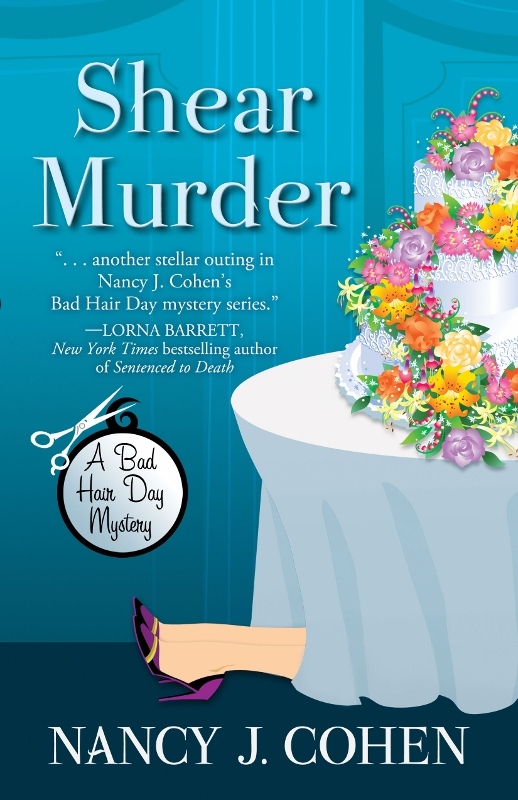 Of course Marla’s own schedule is impossible – between both weddings, moving to a new home, and expanding her hair salon – the last thing she needs is a murder investigation, but that’s exactly what’s thrown her way when Jill’s sister, Torrie, turns up dead at the wedding reception. Jill begs Marla for her help in investigating the murder. After all, Marla has more experience than the police in investigating crimes these days. She discovers there were quite a few people who would want to kill Torrie, including her good friend Jill. Marla begins to step on many toes as she continues questioning all the suspects. Meanwhile, Marla’s wedding draws closer and her fiancé, Dalton, who happens to be a police detective, is getting angrier and angrier at her involvement in this murder case. Not to mention it becomes clear that Marla angered the wrong person and has now become the target of a killer. Will she even make it to her own wedding alive? 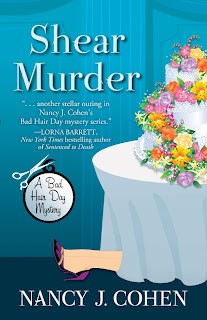 This is the tenth book of Nancy J. Cohen’s “A Bad Hair Day Mystery” series and I loved it! I haven’t read the previous nine books, which is unusual for me, but it really didn’t matter - at least not as far as the storyline went. I didn’t need the previous books to read this one, but I would like to read about Marla and Dalton’s relationship. Fortunately, I have the first book on my Nook and I’ll definitely be continuing from there. Marla Shore is a likeable and strong heroine. Although scared for her safety, I did understand her motivation. I loved how Dalton stood behind her and was supportive. A great couple! The story is laced with humor, romance and mystery. It’s a quick, fast-paced book set in beautiful South Florida. For a few hours, I felt like I was on vacation. It’s a great read to escape from everyday life. It will keep you smiling through the entire book. What do you do with the book before you start reading it? I check out the cover - both front and back. I check the last page to see how long it is (without reading any of the words - I hate spoilers in my books) and then I read the quotes and teaser in the front of the book. I like to get a good feel for the book before I start reading. Congratulations Alison! An email has been sent to her. 4. I think that chocolate chip cookies are the best cookies around. She'd like to call Jill, but didn't want to intrude. Despite the tragedy, last evening was her friend's wedding night. "Heck, sugar, sounds like both your mamas are being bullish." "It's like a competition between them. We should have gone to Vegas and eloped." 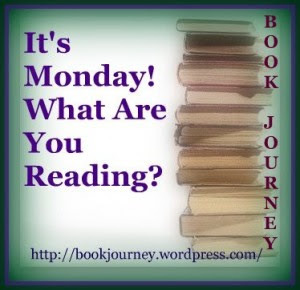 Musing Mondays - Where do you stop?